A businesswoman recently contacted me about the possibility of editing her MSc personal statement. I always ask people how they found me and, if they select me to work for them, why they chose me. Her answer was illuminating, though probably not surprising – she’d spent nearly two hours searching on Google. She was looking for an individual freelancer, not a company that would contract out the work to an unnamed individual. She wanted to see a picture of the person she was going to be dealing with, rather than a stock image that looked as if it had been cut and pasted from a magazine. She wanted to see an appealing and professional website that told her about the freelancer’s experience and that reflected their personality. And she wanted someone “genuine”. She told me she’d spent a lot of time working on the draft of her statement, and it was important to her that it communicated her story. It might determine whether her application is successful – she wanted someone who’d made her feel that they understood what she was trying to achieve and why it was important. I got the job based on meeting the above criteria, and she paid me my requested fee. ​There’s nothing wrong with not using your real name in the title of your business. Indeed, it could be detrimental if you have a particularly common name. I do use my name in my business title but I have an uncommon surname so it’s unlikely that I’ll be confused with any other editorial freelancer in the UK. Do, however, tell your customers who’s involved in the organization. Let’s say your company name is Anyold Proofreading Services. You’re the only employee on the books but you’re still a real person. Make sure your bio is easy to find on your website and that it tells your potential customers who you are, where you’re based and that you’re there to help them. If there are several people in the business, do the same thing – bios for all so the client can see the real people behind the business name. ​Be professional by all means, but be approachable, too. 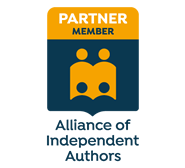 Publishers, independent authors, students and business people are putting their trust in you, and only you, when they hand over their project for revision and it can be anxiety-inducing for them. If they feel you’re on their side before they've even contacted you, you’re more likely to be an attractive prospect to them. For some editorial freelancers, the idea of putting one’s face on the internet is ghastly. If that's how you feel, do it anyway. It makes you real to people. Anyone can copy a royalty-free image from the web and put it on their site, but there’s only one you. “I don’t have any nice photos of myself,” you say. Nor did I, so I asked a friend who’s rather clever with a camera to help me out. You don’t need a masterpiece – a simple head-and-shoulders shot will do. Put a smile on your face and look at the camera. You want to appear professional but approachable. If the person with the camera is as good a friend as they claim, they’ll keep on snapping until you get something that that you’re happy with. After you have your pic you can use it on your website, your Facebook page, your Twitter and LinkedIn profiles, and any other online directories or webspaces that you participate in. ​Consider it another part of your branding strategy – when the same picture is always attached to your business title, people will come to recognize your face in the same way they recognize your business name. If you’re building your editorial freelance business and you haven’t got your website sorted, make it a priority. Like your mug shot, it doesn't have to be fancy. What it must do is show your target audience how you can solve their problems. If your business isn't on the web you’re missing a trick because many of your competitors are online. That means that when potential clients start googling for editorial freelancers, they’re going to find your colleagues but they won’t find you. And remember to ensure that the information you include is friendly, professional and responsive to the needs of your client (and don’t forget the face-on guidance). If a potential client asks you to submit a quotation by email, it stands to reason that you need to communicate your understanding of the kind of project they’re asking you to work on and what they want from you – this is in addition to the information they've asked you to submit (price, relevant experience, CV, time frame, etc.). Working on a personal statement is not the same as proofreading a local history book, or copy-editing a scientific journal article, or providing structural editing for a début novel, or drafting a CV, or checking a website. Take the time to explain what might be entailed so that the client understands what they are getting for their money and why you are charging a flat fee in one case, a per-word fee in another, or an hourly rate elsewhere. The client will appreciate it and it demonstrates that you know what they are trying to achieve, what the project requires, and what some of the issues might be. Moreover, it shows that you've taken the time to consider the work and indicates the level of care they can expect to receive if you secure the job. ​Open, friendly and professional communication is just another way of marketing yourself. Very good article. I got some positive feedback regarding my profile picture (mostly from men) but one woman said that she found the colourful folders in the background too distracting. So what is the best picture on a website for different audiences in different countries?